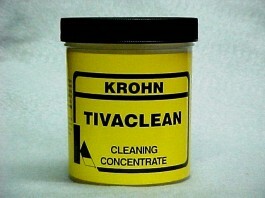 Tivaclean - Krohn Industries, Inc.
Krohn Tivaclean is an electrocleaning concentrate for both metals and plastics. It is an orange powder that, when mixed with water, (8oz. to the gallon) changes to a fluorescent green to insure full rinsing. Tivaclean also contains anti-foaming agents for low sudsing and a deodorant to suppress odor. A biocatalyst is also present for biodegradability and eliminates the need to use toxic chlorinated solvents. In solution, it has a non-caustic pH of 9-10. 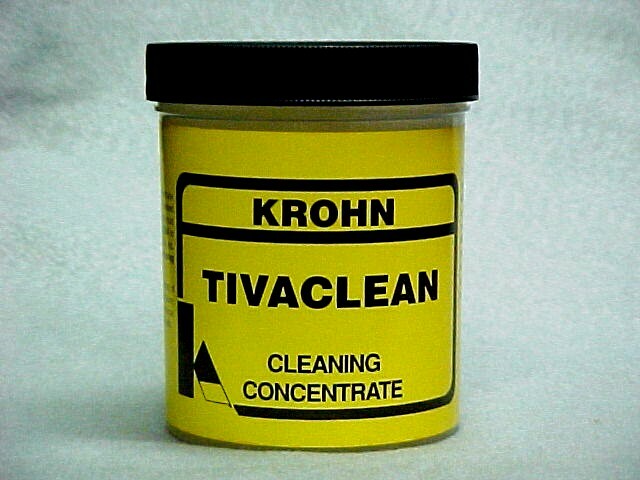 Tivaclean is also a great ultrasonic cleaner and can be used at room temperature. Heating the solution to a temperature between 160º and 180º F enhances its performance. 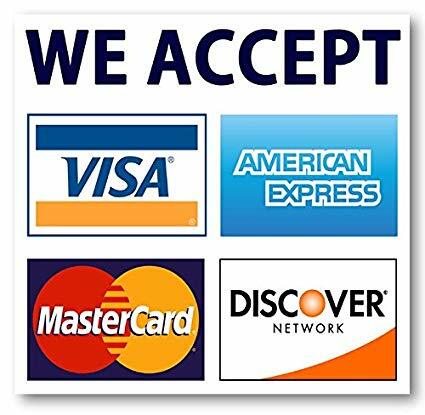 Tivaclean is available in 1 lb jars and 5 lb, 25 lb, 50 lb, and 100 lb bulk packs. 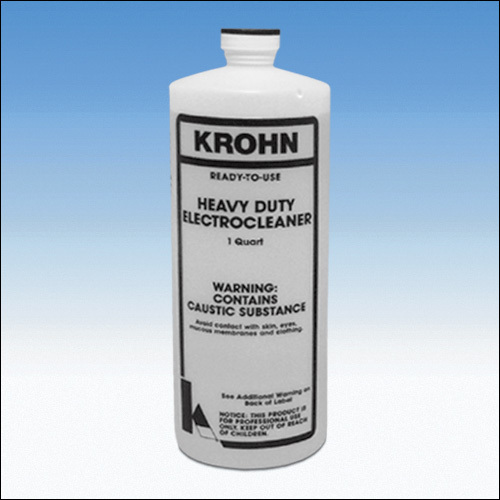 Krohn Heavy Duty Electrocleaner is a ready to use solution available in quarts, and is especially useful for cleaning castings and articles to be plated. 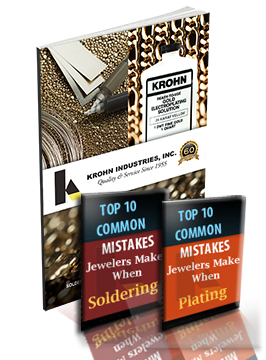 The solution removes all grease, finger prints, and polishing compounds in about a minute. Available in quart bottles. 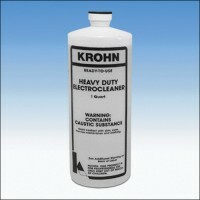 ElectroKing™ is an excellent soak cleaner and electrocleaner for many substrates in the jewelry and industrial industry. Simply mix 1/4 lb powder per gallon and start cleaning by simple immersion or electrocleaning. Heat to 140°F, 2-6 volts, 15-60 seconds, stainless anode. Activator-T™ is mixed with water as needed producing a mild acid with super etching, brightening, and cleaning properties. Activator-T chemically cleans and activates your parts to assure strong metallic bonding for the initial plate and continuous plating processes. Dissolve 1/3 lb. per gallon of water. Use at room temperature for 30-60 seconds. No rectifier required.